As a firm of leading manufacturing recruiters in Milwaukee, the Lawler Group understands that any manufacturing firm is only as successful as the people that it employs. While there are other important factors to consider when meeting deadlines and managing output, no other component plays as key a role in a company’s success as the internal employees within the company. No matter what the size and scope of the organization, without the right staff in place, operations can quickly come to a standstill. Here at the Lawler Group, we recognize that staffing for a manufacturing business is relatively similar to other business models that we work on. Some of the open positions our manufacturing recruiters need to close will fill quickly; however, there is always an extensive range of opportunities that will take longer to fill. That’s where our team of qualified and professional manufacturing recruiters in Milwaukee can help; we efficiently manage the entire hiring process from start to finish. The result? Our hiring experts can minimize the time needed to find the best candidates for your opportunity while you stay focused on keeping your business running at maximum capacity. Knowing what to expect when working with our team of professional manufacturing recruiters in Milwaukee can help streamline the process and ensure a positive experience from start to finish. What’s a key step in our hiring process? At the Lawler Group, we never use a generic approach with our opportunities; we firmly believe that every open position requires a fresh perspective and strategy. That’s why we partner with all of our clients to gain a thorough understanding about what skillset and experience the perfect candidate will have for each specific open position. Additionally, our hiring specialists also team with our clients to go beyond the tangible skills and experience level needed; the Lawler Group also strives to understand all the intangible nuances of every company we work with as well. Throughout our partnership, we will strive to gain a firm understanding of your specific corporate culture to find the very best available candidates for your positions. Once we have a handle on what constitutes a great candidate for your organization, the manufacturing recruiters at the Lawler Group get to work. 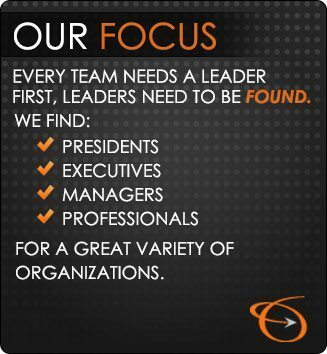 Our staffing experts work diligently to personally screen every prospective candidate before we send them along to you. Our goal is to pre-qualify all relevant applicants to ensure that you only get the very best available applicants for your jobs. Best of all, once you have an influx of qualified candidates in the hiring pipeline, the Lawler Group’s recruiting professionals will manage all of the key logistics on your behalf. We’ll coordinate phone screens and in-person interviews, and also gather feedback from both sides for you. We’ll even negotiate salary and start dates on your behalf to deliver the most efficient and streamlined hiring process possible. Contact us now to learn more about our approach to hiring and our employer partnership process.